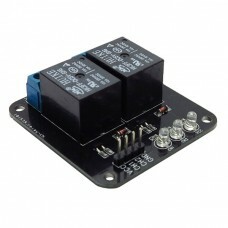 The 2 Channel 5V Relay Module provides a pair of relays that can be controlled a digital output from a microcontroller. 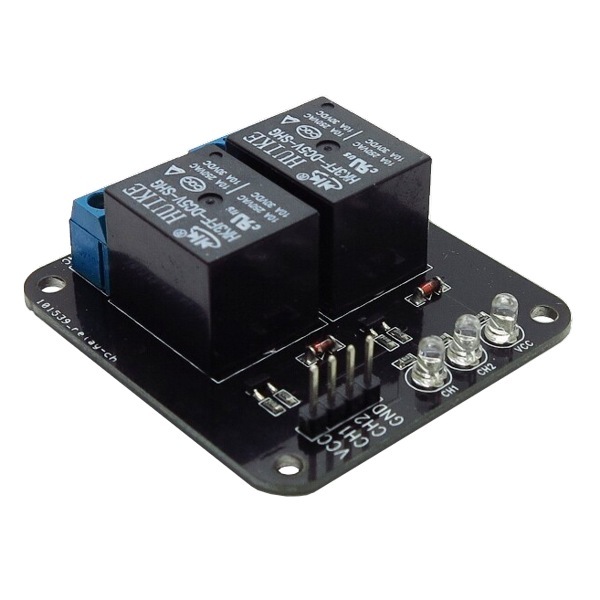 Simply setting a digital output line high will close the switch on a relay. 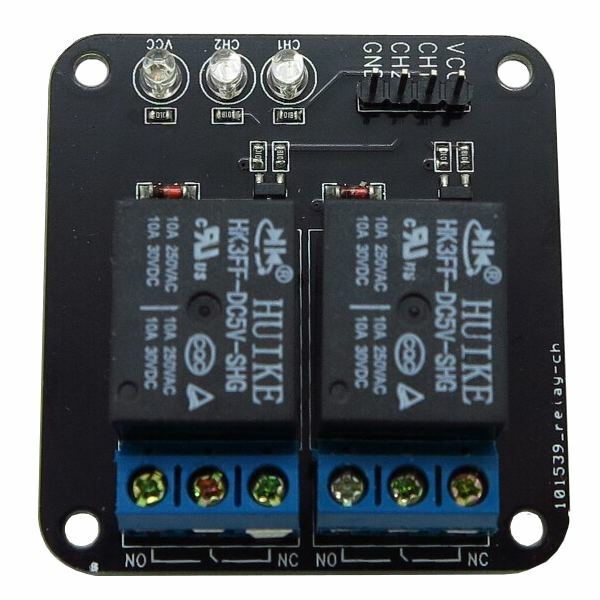 This module also has LEDs to display the status of each relay as well as a power on indicator. Relay contacts are available at two sets of screw terminals. Each relay acts as an SPDT Single Pole Double Throw switch and can be wired for both NO Normally Opened and NC Normally Closed actions.